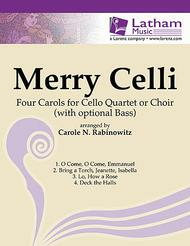 Four Carols for Cello Quartet or Choir with Optional Bass. Arranged by Carole Neuen-Rabinowitz. Christmas. Full score and set of performance parts. Published by Latham Music Enterprises (LA.733388). Lively arrangements (Cello 1 advanced) with fun for all. group of cellists of mixed ability. 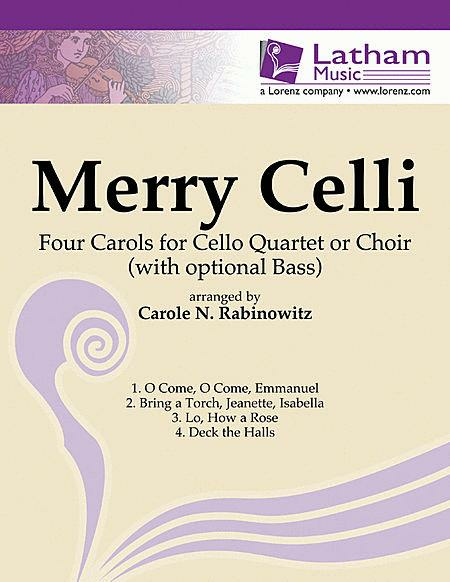 These are very good arrangements of christmas songs for cello quartet. Strongly recommend.